We have 29 Years’ experience, training pupils on the safest facility in Norfolk. At Anglia Training Services, Motorcycle training in Swaffham, Norfolk, we have a passion for motorcycling and an even stronger passion to deliver training safely. 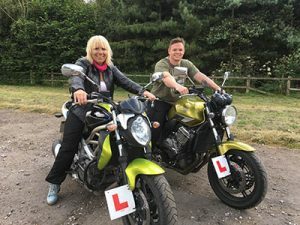 Whereas most Motorcycle Training Schools in Norfolk are based in car parks or industrial spaces, schools and playing areas, Anglia Training Services, is different. 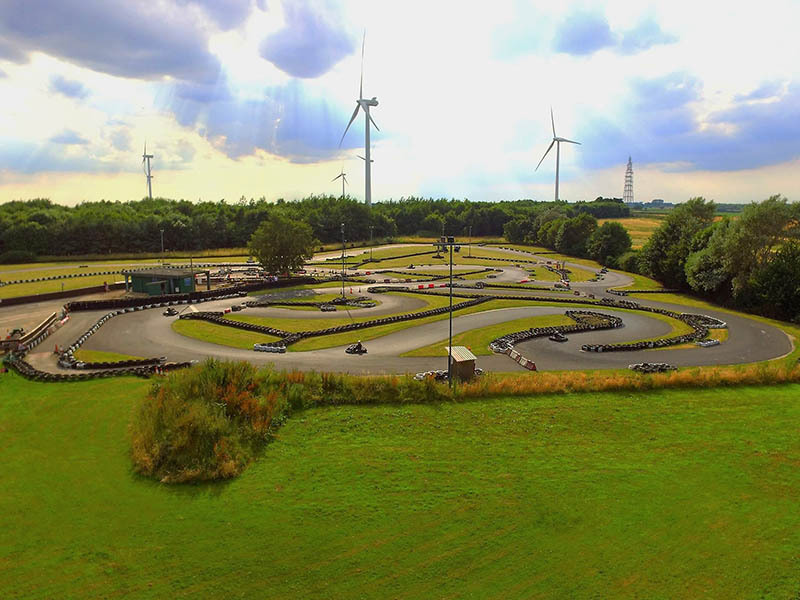 We are located at a permanent site in the centre of Norfolk, at North Pickenham, near Swaffham, with a large 625 metre circuit, boasting corners, straights and safe grass sidings (handy for those still a little sketchy on the controls). Unlike other Motorcycle Training Schools, you will have plenty of space from other riders and the opportunity to get the bike up to speed as and when you are ready. If you read through our testimonials, several pupils comment on the site as well as the instruction. We are proud of both. So, if you are looking to do your Compulsory Basic Training, CBT, Full Motorcycle Licence, A1 Licence, A2 Licence, A Licence, Direct Access, Mod 1 Test, Mod 2 Test, Motorcycle Lessons, Refresher Course or Enhanced Rider Scheme. Please have a look through the site and then go to the contact page to get in touch to discuss what you need. CBT is where most pupils start, from a complete novice CBT to an experienced rider wanting to do their A1, A2 or Direct Access. 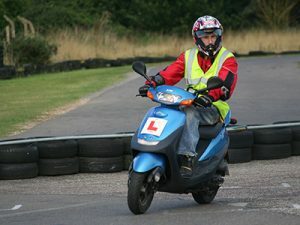 Taster Lessons or Hourly Motorcycle Lessons, Back to Biking, Refresher Course, Advanced or Enhanced Rider Scheme. 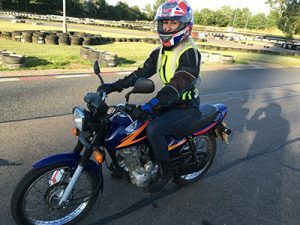 I have a passion for motorcycles and can’t imagine life without them and I love to share my experience with pupils to prepare them for a lifetime of motorcycling enjoyment. The track is ideal, not just for CBT training; throughout Full Motorcycle Licence, A1, A2 and A Licence Direct Access courses, we always introduce pupils to the bigger bikes on the track before going on the road to train for the Mod 2 test. It is excellent for Mod 1 Test training (especially the swerve manoeuvre) and our best run on Mod 1 Tests to date is 55 first time passes on the trot, which we’ve done twice. I think that speaks for itself. Quite simply there’s no safer place in Norfolk to train. When I took over the business, if it had been in a car park; I wouldn’t have taken it on. The track looking good, and great fun for go karts as well.